Inbox by Gmail was officially released to the public on May 28, 2015 and shut down by Google on April 2, 2019. What set it apart from similar software is that it aimed to improve email productivity and organization through several key features: bundles gathered emails of the same topic together, highlights surface key details from messages, and reminders, assists, and snooze functionality enabled users to control when specific information appears. There were many updates over the years that included several new features, like an undo send feature, a “Smart Reply” that automatically generated short reply examples for certain emails, integration with Google Calendar, newsletter previews, and a “Save to Inbox” feature that lets users save links for later use. Read more for three alternatives you can try now. Masako Wakamiya, an 83-year-old from Japan, may not have been a part of the first wave of mobile apps, but in 2017, she launched Hinadan, a game aimed at elderly users. She purchased her first computer when she was approaching 60 to keep up with friends while taking care of her elderly mother. “I felt like my view expanded. I was excited to know that the world was much larger, with a diverse range of people. As I discovered how great it is, I thought I should tell that to people from my generation. Then I opened a sort of PC salon in my tiny house and started teaching people of my generation,” said Masako. Read more for an in-depth look at her life. Apple Watch fans rejoice! Sure, most Apple fans will be looking forward to the iOS 13 reveal at WWDC in June, but some would rather see watchOS 6. If you’re part of the latter group, designer Matt Birchler has just the concept for you. Unlike watchOS 5, this version converts the dock into a grid system for the Series 4 and newer models. The means the 44mm model has more room than ever for things like full previews of your recently used apps. Read more for additional pictures and information. 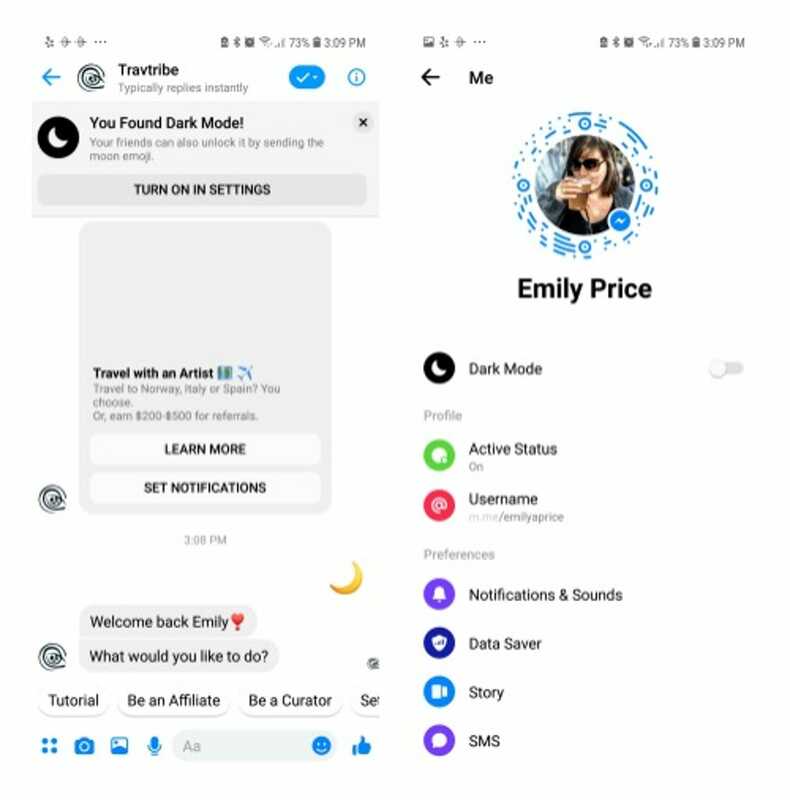 Mobile phone users prefer “dark mode” to save energy, and the latest app to offer this feature is Facebook Messenger, as the company announced it for Android last year at the F8 conference. It’s now available all users, but activating it is not as simple as heading over to the settings menu, but rather an Easter Egg hunt of sorts. Simply put, users have to send a half crescent moon emoji to someone. Read more for a video showing exactly how it’s done. The Google Maps augmented reality navigation may only be available to Local Guides (community reviewers) for now, but these new videos provide a first look at the feature. Just to recap, Google Maps uses GPS get your location, and then uses the camera to pinpoint where you are with 3D arrows hovering over places you need to turn. If you hold the phone up in AR mode for too long, the app automatically darkens the screen to force a change to conserve battery power, data, as well as safety. Read more for another hands-on video preview. Computer security researchers at Trend Micro have discovered a new way hackers are trying to run .EXE files, the official executable file format used for Windows, on macOS. During their investigation, these .EXE files were delivering a malicious payload that overrides Mac’s built-in protection mechanisms such as Gatekeeper, with the highest numbers for infections to be in the United Kingdom, Australia, Armenia, Luxembourg, South Africa and the United States. It was found in the installer of a popular firewall app for Mac and Windows called Little Snitch, available for download from various torrent websites. Read more to discover how this app is able to bypass Gatekeeper.